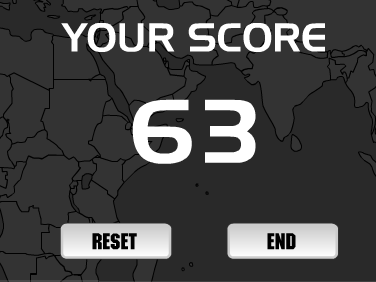 Fun quiz, poor score (63 after a couple of attempts). My excuse is that maps have changed quite a bit since my day (where’s all the pink gone?). I honestly didn’t know Burma had been called Myanmar since 1989!? What saved me more than once were strange half-remembered names from my childhood stamp collection Hellenic Republic, United Arab Emirates, United States of America ..
A Whatfettle article by Paul Downey published Monday, December 4th, 2006, at 3:38 pm under a Creative Commons License.